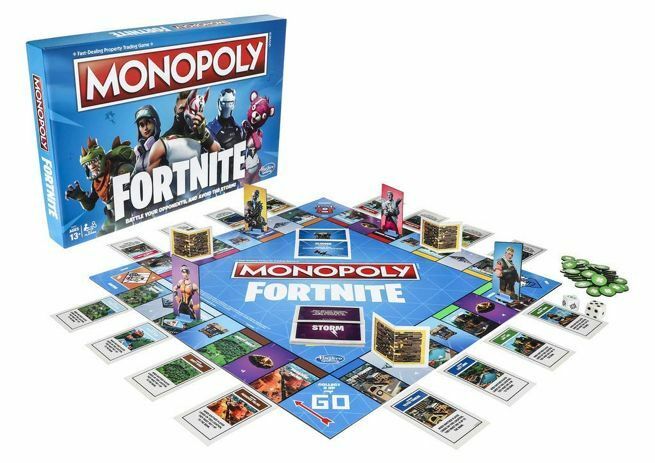 Take a break from Fortnite so you can play Fortnite in board game Monopoly form! Indeed, Amazon has Monopoly: Fortnite Edition up for pre-order right here on Amazon for $19.99 with a release date set for October 1st. It's covered by their pre-order guarantee, so you won't be charged until the game ships and you'll automatically get any discounts that occur between the time you order and the release date. Fortnite Monopoly is also available to pre-order via Walmart for the same price. 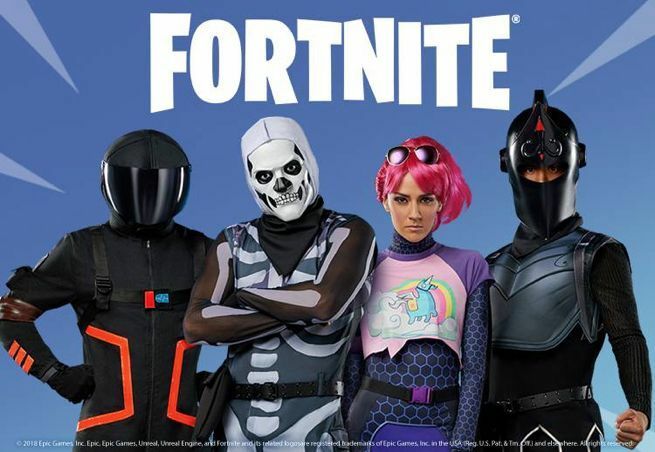 There are 27 Fortnite character outfits to choose from. The game features well-known Fortnite locations as properties, loot chest cards, and Health Point chips instead of the standard Monopoly money. The "action die allows players to pick up heath packs, build walls, and damage their opponents". Every time a player passes go they unleash the Storm. Players must avoid said Storm or lose Health Points. Inside the box you'll find, 27 cardboard outfits with pawn stands, 15 Storm cards, 16 location cards, 16 loot chest cards, 8 Wall cards, 1 numbered die, 1 action die with labels, 110 Health Point chips, and a game guide. On a related note, Epic Games has launched their official Fortnite Halloween collection, and you can shop it all right here. The collection includes character costumes, t-shirts, backpacks, mugs, blankets, and party supplies like a Loot Llama pinata. There's also replica tools and weapons like the basic Pickaxe, Rainbow Smash Pickaxe, and the badass Pumpkin Launcher (which includes lights and sounds). However, the most mindblowing item in the collection is definitely the 17.5-foot tall inflatable Battle Bus. 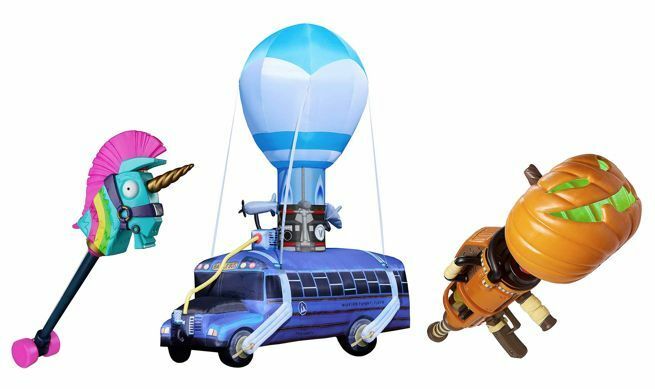 Note that the Battle Bus is sold through Spirit Halloween for $449.99 but, at the time of writing, you can get it from Spirit Halloween's Amazon shop for $399.99 with free shipping. Both are slated to ship around September 20th. You can also find the entire Fortnite Halloween collection right here at Spencer's.